Does your child dream of being under the sea? 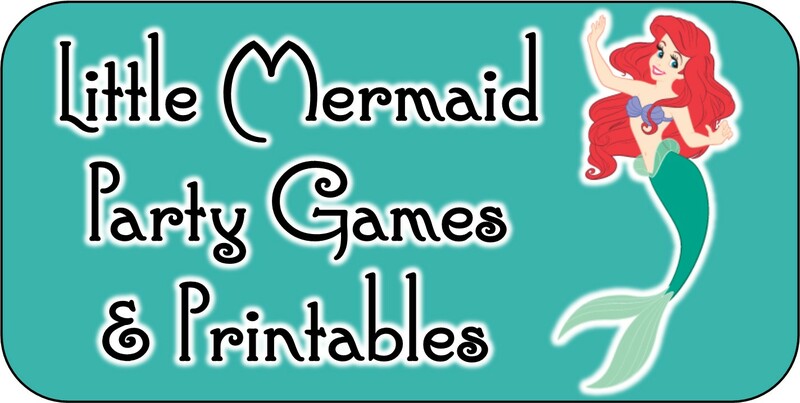 These little mermaid games will help make her mermaid birthday party one to remember. Plus, I’ve thrown in a couple extra little mermaid party ideas to add to the mermaid fun. I have a lot of D.I.Y (do it yourself) games that may require a little creative elbow grease on your part, I also found a bunch of pick and click to purchase games for those of you who are short on time and need the convenience. Without further ado, let the mermaid games begin! The little mermaids divide into teams and race against the clock to retrieve as much jewels from treasure cove with their ocean wands and return it to their teams treasure chest. To make ocean wands you’ll need crafts sticks and magnets. You can find these at any craft store. I got mine at Wal-Mart’s craft section for $2 for 16 magnets (these magnets came with adhesive stickers on the back..bonus!) and the craft sticks (which look a lot like chop sticks) were sold right next to them for under $2 for 18 sticks. I simply attached the magnets to the sticks and covered the magnet tops with a piece of thin material attached with a rubber band. To make the treasure cove I used a kiddie pool just because I had one available. You can really use anything, including the floor. For jewels I bought a bunch of those mardi-gras type bead necklaces and attached a paperclip to each one. The paperclip make them magnetic to the wands. To Play Game: I gave all the players a wand and on the start of go they raced to pick up the jewels and rush them back to their teams treasure chest (again this can be anything from a bucket to an actual chest if you’re feeling creative). The team that collects the most jewels wins. If you want non-competitive games then forgo the teams and have them race against the clock to collect as many as they can. They can trade the jewels in for small prizes or just keep the jewels to wear! Perfect for you little mermaid party games. In this little mermaid game the little mermaids race to catch the Sea Witch with their “jellyfish stingers”. When they hit her with a stinger she freezes up. The only way for her to be unfrozen is to throw out candy for her release. The games continue until the Sea Witch runs out of candy. We like to call this game the human piñata, it is always a big hit. To play you’ll need an adult volunteer to be the Sea Witch. Why an adult? 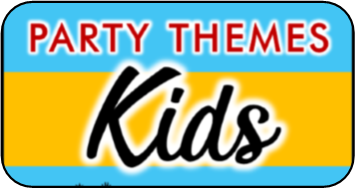 Just because on average kids find games ten times more fun when they get to chase an adult, plus an adult will be more responsible with the candy throwing. Speaking of candy, you’ll need a bag of that too. For the jellyfish stingers you’ll need something that won’t hurt if thrown. I suggest those ball pit balls, or small nerf balls. A twist on the classic musical chairs, but in this game everyone is a winner. The little mermaids dance to the music around the giant seashells. When the music stops all the girls stand on a seashell and lift it up to see if the pearl is inside. Only one shell has the pearl. The girl that chooses the pearl gets to collect a prize. Hide the pearl again and continue playing until every girl has found a pearl. To make shells use different colored poster board and cut out the shell shapes. For the pearl you’ll just need to cut out a while circle. While the music is playing, the mermaids pass around a special treasure wrapped in many layers of “seaweed”. When the music stops the mermaid caught holding the treasure must unwrap another layer of seaweed off and follow the silly secret message written on it. 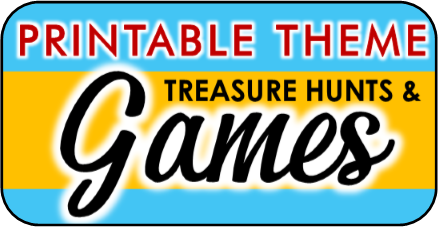 The game continues until one of the little mermaids unwraps the last layer and discovers the treasure. The treasure is shared with all the mermaids. Sing your favorite little mermaid song. Here is one of my favorite mer-games! This is similar to the game above as it also uses fun challenges. The mermaids bop balloons (sea shells) about while the music is playing, making sure they don’t hit the floor. When the music stops everyone grabs a balloon. You’ll choose a name out of a bag and that mermaid must pop her balloon and complete the challenge inside. After the challenge is completed she can receive a small prize and the game continues until the bag of names is empty. After a challenge is completed that player can still participate in the balloon bop games, but their name will not be called again. To ensure there are enough balloons make sure you have about twice as many balloons as there are little mermaids. Start the game with one balloon per mermaid and add another after each round. Use a large blue sheet and have all the little mermaids grab a side. Place some sea creature stuffed animals, or the like, underneath the sheet (if you don’t have any you can use balloons). Have all the little mermaids shake the sheet to create “ocean waves”. Call out a name and that mermaid must run under the sheet and grab a sea creature and throw it on top of the waves. They must bounce it around without letting it fall off. Keep calling names and adding to the ocean waves until one falls off. Play a game to see how many objects the mermaids can keep bouncing. Here is another for those of you looking for non competitive little mermaid games. Purchase colored rocks at your local dollar store or collect them yourself. Paint the rocks different colors. You’ll need about 3-5 of each color, and a separate color for each mermaid player. Before the party hide these rocks through the playing area. When you are ready to play the game tell the girls that the magical wishing stones have gone missing, but if they work together they could find them. Assign each mermaid a color to find. When a mermaid finds all her wishing stones she receives a prize. She can then help others find their stones. Divide the girls into two teams. On the start of go the mermaids on each team must use green streamer paper to wrap around one of their mermaids legs, which creates a tail. That mermaid must hop to the finish and back in her tail, then help wrap the next mermaid’s tail. The team whose mermaids finish the race first wins. You could also use toilet paper as an alternative to green streamers. These printable sets come ready-to-print. These are created so you can easily replace the default text with your own. Simply open in Adobe reader, click on default text and type in your own - Voila! 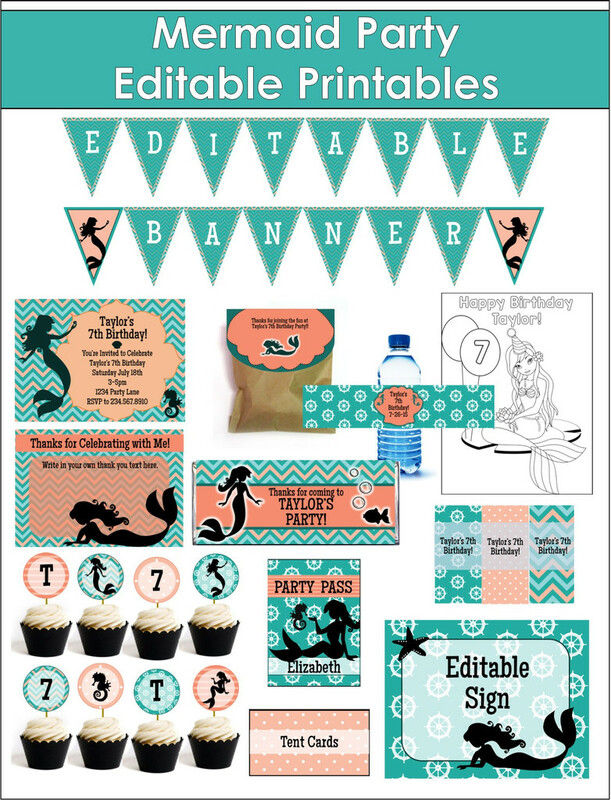 Instant personalized mermaid party supplies. Click on image for details on each set.